It’s been more than a month since NASA last heard from the first two satellites to ever go interplanetary and chances are we’ll never hear from them again. The two tiny satellites, nicknamed WALL-E and EVE, were known collectively as Mars Cute One, or MarCO. The briefcase-sized satellites that launched last year far exceeded their expectations. They operated successfully in deep space, pushing the limits of experimental space technology and were part of the first mission to use CubeSats, a class of mini-spacecraft. The pair were part of NASA’s May 5th InSight mission to Mars and were tasked with beaming information about the landing to the Martian surface. In fact, WALL-E was responsible for beaming back InSight’s first image of Mars and took it’s own photos of the Red Planet during its flybye. 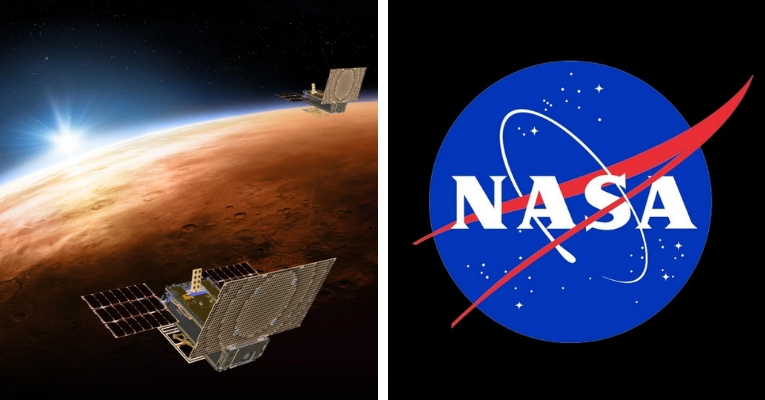 Both satellites fell silent somewhere past Mars and haven’t been heard from in over a month, according to NASA. While this may sound like a major loss, it turns out the inability to communicate with MarCO isn’t exactly a failure. WALL-E and EVE are proof that humans have the ability to explore deep space like never before. All of this for $18.05 million, a mere fraction of the cost of most traditional space missions. The mission team will attempt to contact both WALL-E and EVE this summer after the pair begin moving toward the Sun again. Regardless of the outcome, NASA considers the MarCO mission a major success. “We’ve put a stake in the ground. Future CubeSats might go even farther,” Klesh added.